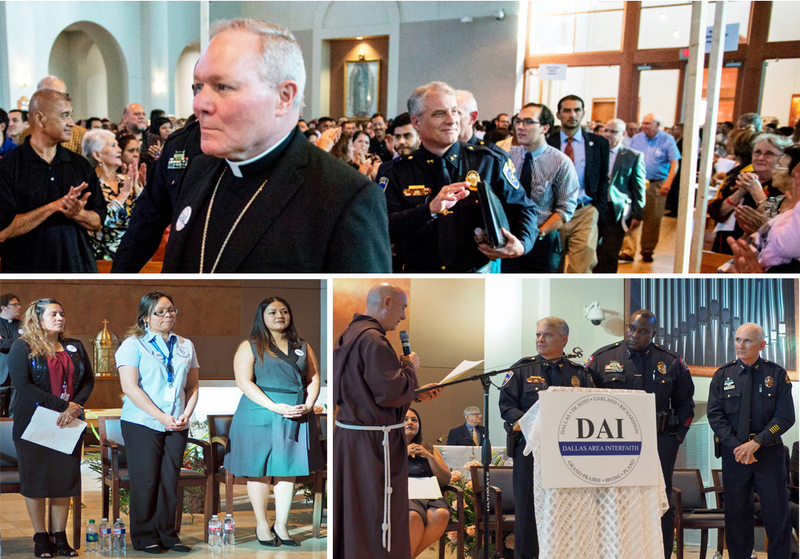 More than 1,500 immigrant leaders filled the sanctuary at Mary Immaculate Catholic Church in Farmers Branch in a standing-room-only assembly of leaders across multiple faiths and denominations. Three women shared stories of anti-immigrant abuse and community fears about reporting crimes to the police while lacking access to state-issued IDs. Friar Luis Arraiza of Nuestra Señora de Lourdes and Fr. Mike Walsh of from Holy Trinity explicitly challenged the chiefs of Farmers Branch, Carrollton and Dallas Police Departments to publicly commit to accepting parish identification cards as a means of identifying oneself during a police stop. All three said, ‘yes,’ to thunderous applause. Nine years prior, Farmers Branch was best-known for being the first Texas city to pass an anti-immigrant ordinance, which included fines for landlords renting to undocumented immigrants. The police department paid a price in community trust — one motivation for publicly pledging to accept parish IDs. This approval will help the estimated 231,000 immigrants who call Dallas home.